eBay has released a number of changes recently. However, finding information on all of the changes could be a bit of a hassle. So, we have broken down the changes for you and outlined what they could mean for your business. In order for your items to be found by someone searching for products, they need to be able to present that item in a way that displays well. Structured data enables eBay to administer a level of uniformity in the information presented to customers. One of the most exciting things that these changes are bringing to the table is the ASIN (Amazon Standard Identification Numbers) and other unique identifiers other than universal products codes or international standard book numbers. 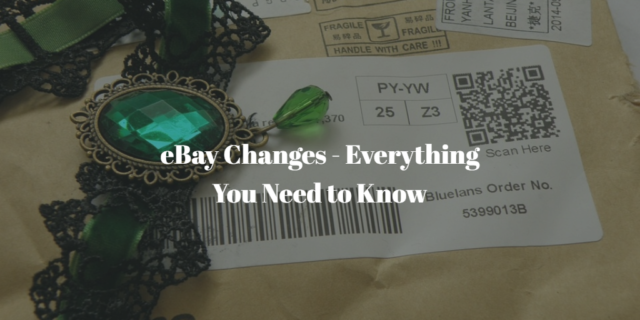 These changes were introduced back in February and were undoubtedly a positive move for eBay. From June, eBay users will have to bid farewell to the program Turbo Lister (the second). Turbo Lister is an offline tool that enables sellers to create listings, which they could then upload once they had established an Internet connection. Opinion is divided when it comes to Turbo Lister. Whilst many people reported issues with its general bugginess it still helped sellers to create countless listings over the years. eBay is giving you more options to ensure that potential customers buy your products. You will be able to do this by offering exchanges or replacements rather than just a refund. In addition to the changes listed above, eBay has also amended their user agreement. These changes were introduced back in 2016, however, we feel like this deserves a mention because we all have a tendency to skip the fine print. Besides, it won’t hurt to take a peek and see how it affects your business. Click here to view the updates. As with every seller update, we expect to see some category changes to surface. The category changes will depend on what kind of products you sell. eBay has broken down the category changes and item specific updates for you in a digestible format. As we see online platforms such as eBay evolve we love to hear your feedback. What do you think about the changes that eBay continue to make?